The Mark 2 version of the OSK or "Outdoor Survival Knife" features a spear point blade that is made from the finest quality 440A grade steel which stays sharp through repeated use. The blade also features a 5cm contour along the cutting edge which makes it easy for stripping bark as well as cutting ropes. The handle is made from a durable polymer with rubber inserts a for a non slip grip with a lanyard hole for easy attachment to your equipment. 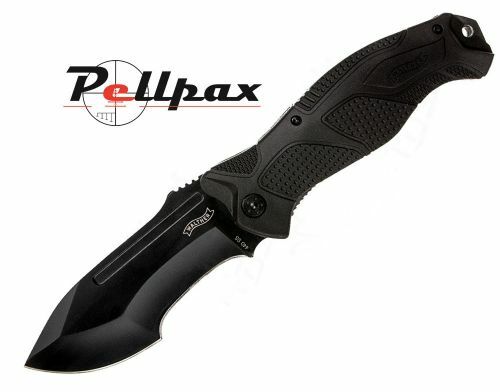 This knife comes complete with a sturdy nylon case. Add this item to your basket & spend an extra £466.01 to apply for finance.